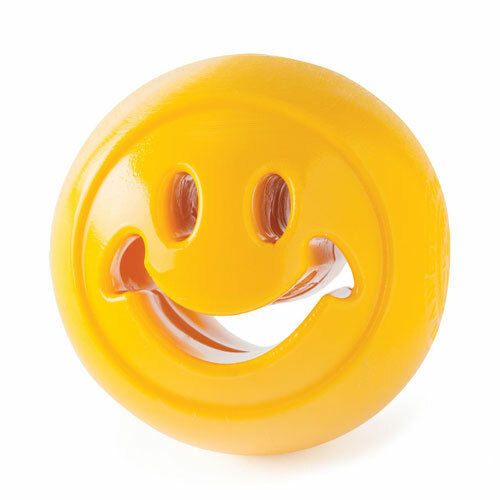 Colour note: Colours vary - This toy comes in assorted colours. While we have offered a preference, if your chosen colour is not available we will substitute it for another colour. 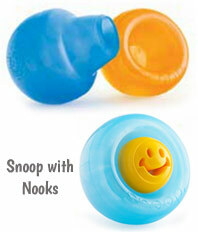 You may like to add an optional Nooks toy to your order. 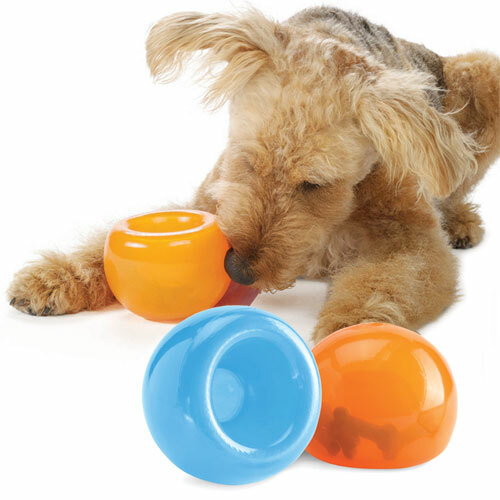 The award winning Orbee-Tuff Snoop is the perfect, safe and quiet way to challenge your dog and give them loads of stimulating brain fun. 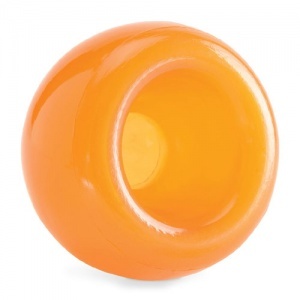 This translucent and surprisingly squashy dog toy has a deep hole that conceals the treats. 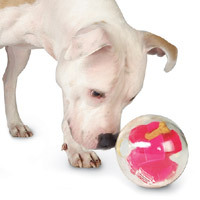 Your dog will pounce, nudge, nose and nibble to release the treasures inside. 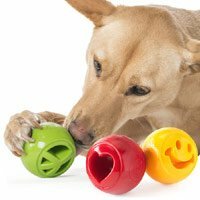 Brain stimulating play is an essential part of any dog's life and the Snoop interactive dog toy is a fun and rewarding puzzle that your dog will love. 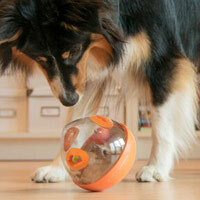 My dogs enjoy hours of indoor fun with these innovative toys. The flexible opening pops out for easy treat loading and cleaning (see right). Snoop is quite a challenge so if your dog struggles to get the treats out, you can also turn it inside out to make it a slightly easier puzzle. 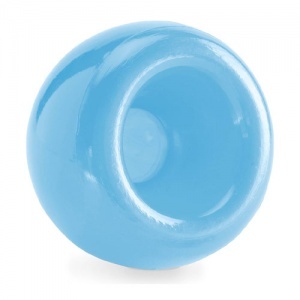 For double the fun, insert a 2.5" dog ball or toy, also stuffed with treats, into Snoop's hole. Sit back and watch your dog figure it out. Nooks are the perfect toy for this and are available to purchase separately. Non-toxic, recyclable, easy to clean. Guaranteed to excite. 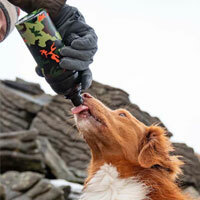 Suitable for all dogs. 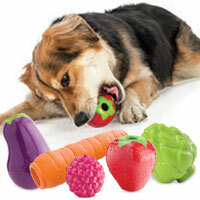 Intended for puzzle-play, not chewing. Not to be left with dogs unattended. 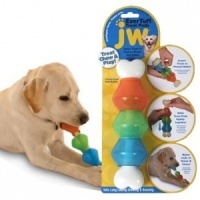 Colours vary - This toy comes in assorted colours. While we have offered a preference, if your chosen colour is not available we will substitute it for another colour.